In majority of process plants across the world, HVAC systems are installed depending upon the way the buildings are constructed. In a way, it could be said that the money you spend as a process plant owner on getting your HVAC systems right, often represents a significant fraction of the money spent on the whole plant itself. When a new plant is being built however, some measures could be taken to ensure that the HVAC systems are installed in an optimized and efficient manner. 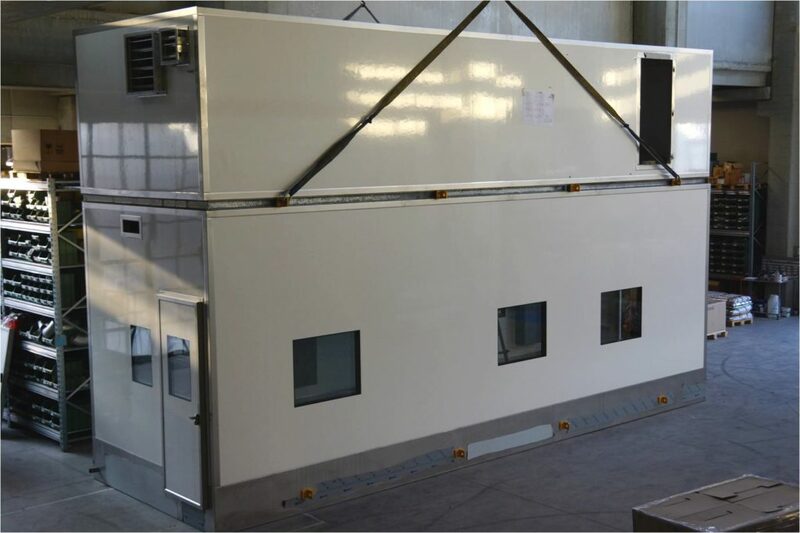 To address this issue, Sinteco has come up with a creative solution that is currently being implemented in two new food processing plants in Europe with roaring success. 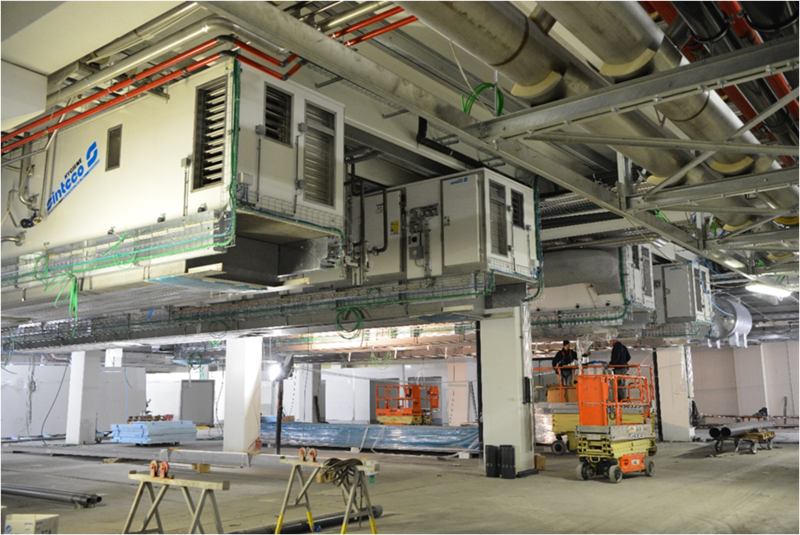 In the process of building up to the solution, it is imperative to understand the existing market solutions for installing Air Handling Units (AHUs), Utilities and Ducting in a process plant. In typical Processing Environments, the AHUs are usually installed outside the environment, possibly in closed spaces especially near the utilities where the AHUs are fed by piping networks (hot/cold). Process Machinery used inside the controlled environments are fed with Diathermic Fluids such as Steam, Glycol Water and Ammonia, and with Service Fluids such as water and compressed air. This creates the need to design a robust fluid distribution network in a way that reduces civil works and other associated costs. In the last thirty years, Sinteco has constructed numerous Classified Processing Rooms in some of the most important food processing establishments in the world. This experience has helped Sinteco in deducing some engineering techniques to optimize the construction of process plants and setting up of HVAC systems. The concept of ‘Sinteco Buildings’ is born here. 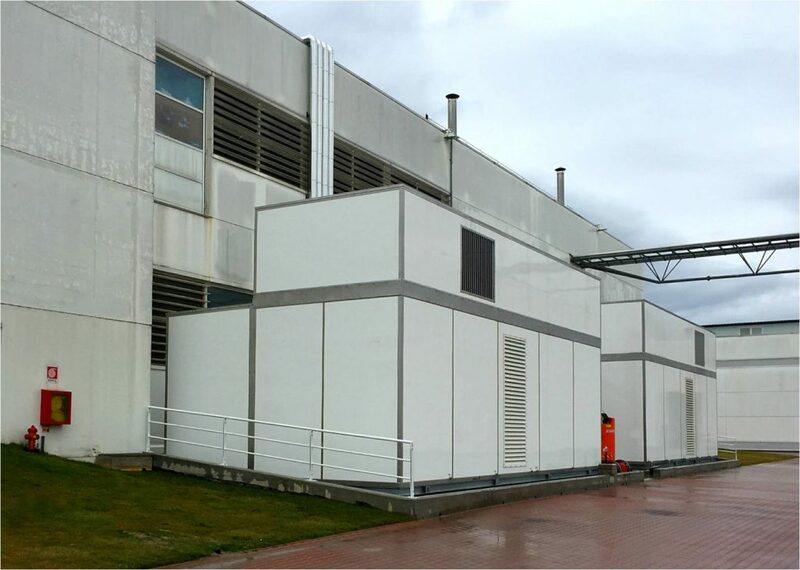 A light weight roof with a low load-bearing capacity is used in this case where the AHU and the Utilities are placed on either sides of the Controlled Environment. This solution could be incorporated in existing plants where the scope for modifying the physical structures is less. A roof made of concrete that can support the weight of AHUs and utilities to be placed either outside, on top, or inside, hung from the ceiling. 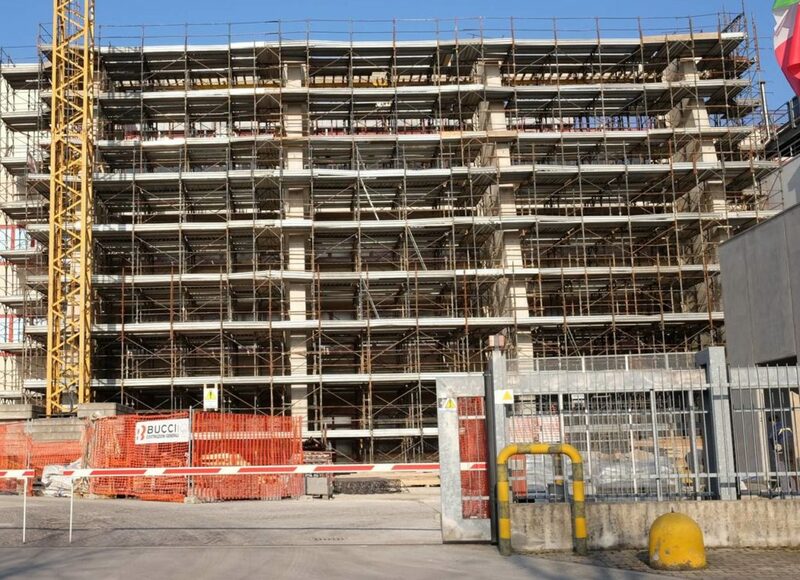 However, to support the roof, pillars are required inside the Processing Rooms. This could create hassles as far as the internal space is concerned. Collaborating with the team/organization handling civil works, Sinteco can help realize a concept in new plants that achieves maximum optimization at minimum cost and time. If your business is constructing new process plants and you want to optimize your construction and reduce costs, get in touch with us today and understand Sinteco’s secret concept of Sinteco Buildings!